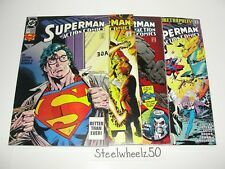 ACTION COMICS #692 SUPERMAN * DOCTOR OCCULT * SUPERGIRL DC 1993 NICE!!! 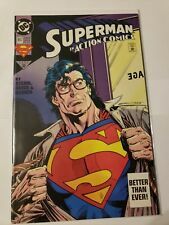 1993 DC Comics Superman in Action Comics #692 Supergirl Appearance! Action Comics #692 (Oct 1993, DC) Better Than Ever! 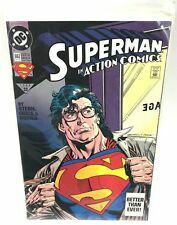 Action Comics #692, NM-; Clark Kent Is Alive!! Doomsday cameo!! DC Comics Superman in Action Comics #692 - "Better Than Ever!" Superman In Action Comics #692 Oct 1993 DC Comic.